Estimated based on initial lease payment of $12.52 plus 60 weekly lease payments, not including sales tax or any optional delivery, warranty, or liability damage waiver (LDW) fees. 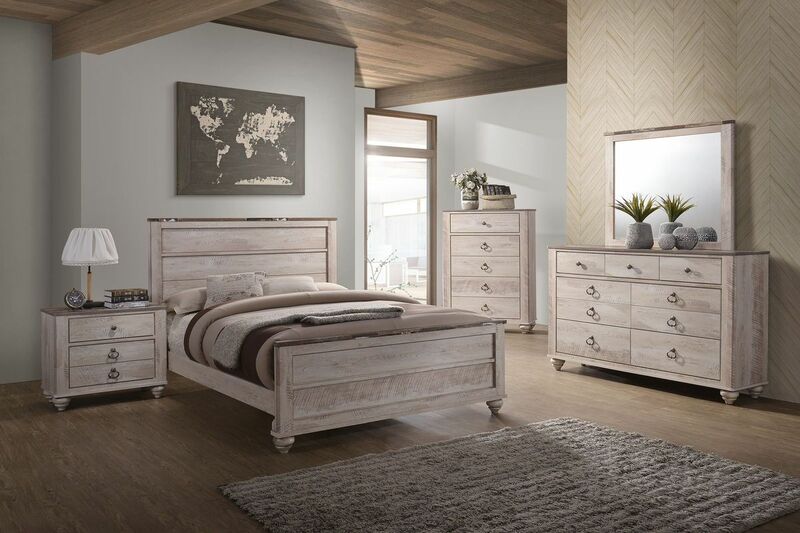 Unless you exercise your early purchase option, your total cost of ownership will be $751.20, not including tax or any optional delivery, warranty, or LDW fees. 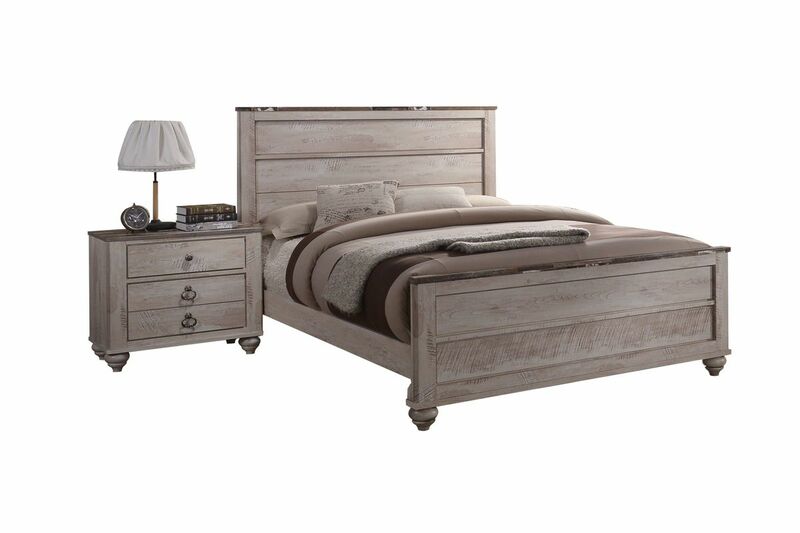 If you love the antiqued, white wash rustic look, the Luxor Queen Bed is for you! The headboard is topped with mixed wood. It features round feet for that touch of antique style.